Romney To Have Lunch With Obama At The White House Thursday : The Two-Way It will be the 2012 contenders' first meeting since the presidential election. President Obama had previously said he hoped to work with his Republican challenger on some issues. 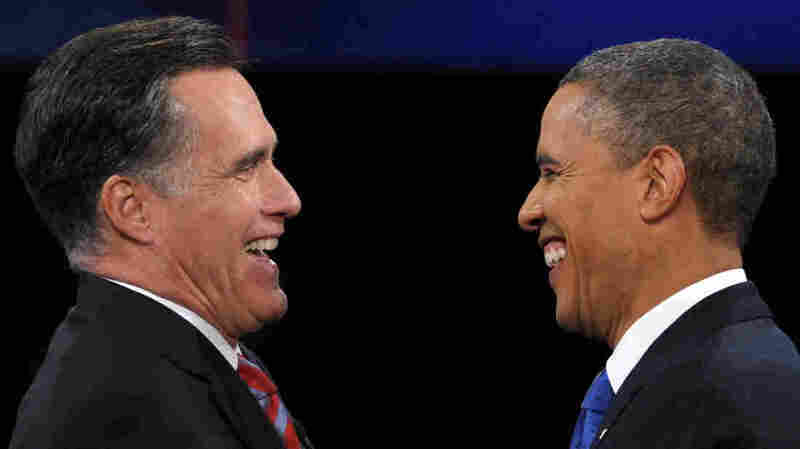 The 2012 presidential contenders will break bread at the White House on Thursday. Republican presidential nominee Mitt Romney "will have a private lunch at the White House with President Obama in the Private Dining Room," the White House says in a statement sent to reporters. "It will be the first opportunity they have had to visit since the election. There will be no press coverage of the meeting." When he gave his victory speech on Election Night, President Obama said he and Romney would be meeting soon to discuss ways they might be able to work together on some issues. And at a Nov. 14 news conference, the president said that Romney "did a terrific job running the [Salt Lake] Olympics" Obama says. Romney's skill at making something like that work better, Obama said, "applies to the federal government."